Today, I'm reviewing The Third Man (1949), starring Joseph Cotten. This article is part of Words! Words! Words! 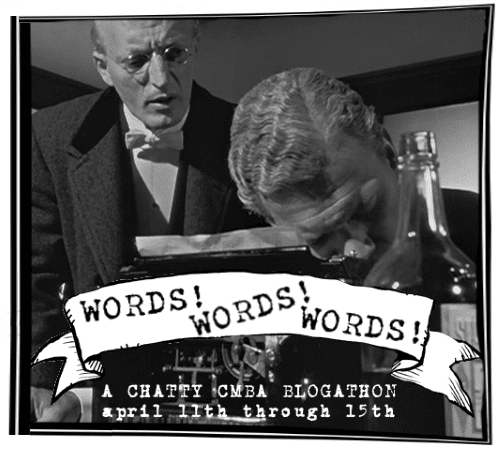 A Chatty CMBA Blogathon from the members of the Classic Movie Blog Association. 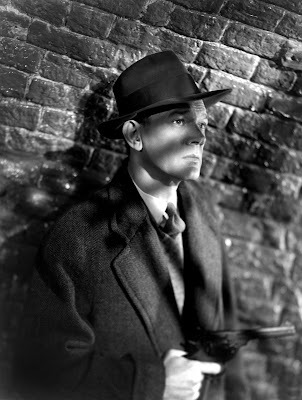 Holly Martins, as played by Joseph Cotten in the classic Cold War thriller The Third Man (1949), is not the typical portrayal of a writer in old Hollywood films. Rather than being a world-weary cynic who can hold his liquor while charming the ladies, Holly is a naïve author of pulp Westerns who wears his heart on his sleeve and gets falling down drunk after a glass or two of whiskey. 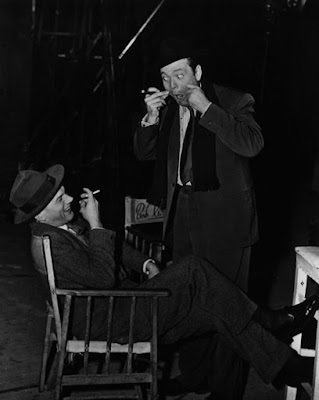 Holly’s innocence – or more precisely his journey from innocence to understanding -- is the central theme of The Third Man, a masterpiece of cinematic formalism from director Carol Reed that is surely among the best British films ever made. The Third Man begins when Holly arrives in postwar Vienna because his old friend Harry Lime (Orson Welles) has offered him a job in the Austrian capital, which is still recovering from Allied bombing raids. Holly is a successful author of Zane-Grey type Westerns like “Death at Double X Ranch” and “The Oklahoma Kid,” but, despite not speaking a word of German and only having a passing knowledge of the international politics that have divided the city into five sectors, he jumps at his old pal’s offer to work in Lime’s vaguely defined charitable organization. 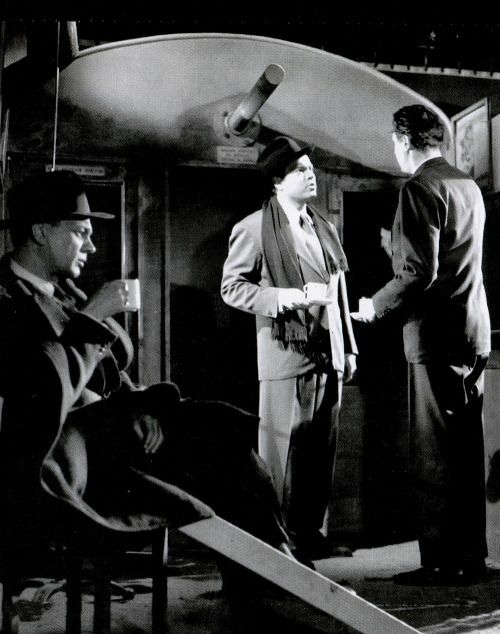 Joseph Cotten, Orson Welles, and director Carol Reed share some tea on the set of The Third Man (1949). Shortly after his arrival, Holly is shocked to learn that Harry, who is suspected of being a ruthless racketeer, has died in a freak automobile accident. Rather than head back to America to churn out a sequel to “The Lone Rider of Santa Fe,” Holly decides to stick around and investigate the mysterious circumstances surrounding Harry’s death despite repeated pleas to leave from a had-it-up-to-here British policeman named Major Calloway, who is played by Trevor Howard (literally half of Howard’s lines are variations on “Oh, for the love of God, Martins, why don’t you just go home”). The Third Man was the brainchild of British producer Alexander Korda, who, after visiting Vienna in 1948, decided that it would be an ideal setting for a thriller made in the style of British film noir that Reed had pioneered in films like Odd Man Out (1947) and The Fallen Idol (1948). Korda and Reed tapped budding novelist Graham Greene to write the original screenplay, and worked with American producer David O. Selznick to get U.S. distribution and the services of Cotten and Alida Valli, whom Selznick had under contract. When The Third Man was released in 1949, it became an international smash hit, winning the grand prize at the Cannes Film Festival, and earning three Academy Award nominations and one win (Robert Krasker won the best black-and-white cinematography Oscar for his brilliant photography of bombed-out Vienna). 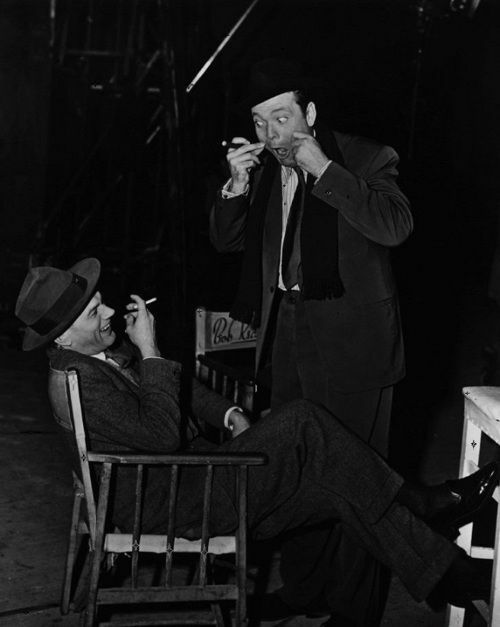 Joseph Cotten and Orson Welles joke around on the set of The Third Man (1949). Greene based the script on extensive research he conducted during a trip to Vienna, and on his own relationship with notorious Soviet spy Kim Philby, whom Greene worked with during World War II (both men were members of the British intelligence agency, MI6). The resulting film, and Greene’s 1950 novelization of his script, explore the themes that would resonate throughout much of the writer’s later work. Not only does The Third Man deal with the nature of friendship and betrayal as shown in the fraught relationship between Harry and Holly, but it also deals with the human tendency for hero worship and how it distorts our perceptions of reality. When Holly arrives in Vienna, he certainly speaks, understands, and thinks as a child. Holly and Harry were childhood friends, and Holly’s admiration of Harry is still very much based on his memories of their mischievous pranks. Holly fondly remembers Harry’s love of card tricks and his unparalleled ability to fake illness to get out of school (these were traits that Harry shared with the real-life Welles, according to Patrick McGilligan’s biography, “Young Orson: The Years of Luck and Genius on the Path to Citizen Kane.” Welles always loved performing magic tricks, and he liked to claim that he was so masterful at playing sick as a child that his doctors actually removed his appendix after one particularly effective performance). While there’s nothing wrong with wallowing in a little boyhood nostalgia, Holly’s worldview is also that of a teenage boy. He seems to actually believe that real life works like one of the plots of his horse operas, comparing Calloway to the evil sheriff in “The Lone Rider of Santa Fe” and setting himself up as the hero who will avenge Harry’s death and clear his name. Holly soon finds out that the real world is far different than his “cheap novelettes” when his “investigation” only leads to more misery. He is pursued by members of Vienna’s criminal underworld, the woman (Valli) he loves, who also happens to be Harry’s former flame, is threatened with deportation, and his bull-in-a-China-shop style even leads to the death of an innocent man (Paul Hörbiger). Even after Holly finds out the extent of Harry’s crimes – he is trading in black market penicillin, which has caused brain damage in several children – he can’t quite quit his best friend. Harry holds an almost mesmeric power over his old friend’s mind, which is actually quite understandable to the audience because he is being played by Orson Welles. Welles was many things in his legendary career – a groundbreaking director, a great actor, and an innovator in radio – but he possessed a personal charisma that was evident even in childhood (his birth made the front page of the local paper, and he was celebrated as a genius by the time he was in grade school, according to McGilligan). Even when Harry is giving a ruthlessly Machiavellian speech (clip below) that derides his victims, he does it with such charm that the audience almost wants to forgive him. It’s no accident that Harry Lime became the breakout character from The Third Man, and that Welles played him on a successful radio show, The Lives of Harry Lime (if you want to listen to these great episodes just head over to the Internet Archive). In the end, Holly finally loses his affection for Harry and, by extension, his innocence in the movie’s heart-pounding climax, which takes place in Vienna’s sewer system. 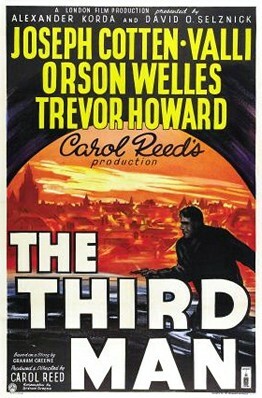 After Harry’s death, the only thing left in The Third Man is the final scene, which ends very much like the movie began: Harry lies in an untimely grave, Major Calloway still has the weight of the world on his shoulders, and Holly is still kicking around Vienna with no particular place to go, except now he is a wiser, and, perhaps, a better man. The Third Man is available on DVD, Blu-ray, and video on demand. 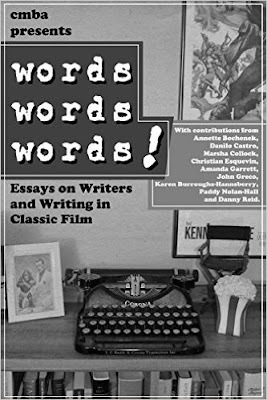 For more about writers and writing in classic film from CMBA members, you can download this e-book at Amazon or Smashwords. How fascinating that the story and movie grew out of the atmosphere that Korda wanted to capture on screen. You never know where inspiration will be found. Did you hear zither music while you wrote your fabulous article? I heard it while reading. LOL. My dad loves Anton Karas' score and I once got him a CD of his music for his birthday. Have you heard the story of Reed basically holding Karas hostage in England until he wrote the Harry Lime theme? Like many great movies, its production is almost as fascinating. Yes! There would be so many lawsuits today, but it all worked out for Mr. Karas in the end. He made a lot of money off of his score. Great review. I do so love this movie. Welles is unforgettable. And, as Caftan Woman says, I hear that zither music in my head! Thanks! The Third Man is my favorite movie. You make a good point about Cotten's character having a rather unrealistic view of life. This devotion to his friend Harry is commendable, and makes his eventual realization about Harry quite shocking and rather poignant. I love the look of Vienna in this film. And Orson Welles is utterly superb, of course. Time to see this again! Holly is what Humphrey Bogart would call a "sap." His heart is in the right place, but he needs to wise up about the ways of the world. A fine review of one of the most famous post-World War II thrillers. I've always thought that Harry Lime excels at playing off people, being different things to different people. I do think the film would have been more interesting if Harry wasn't so obviously bad...if the viewer, like Holly, would have questioned Major Calloway's motives reference Mr. Lime. Then, when Harry's dark side was revealed, it would have been a surprise. My favorite part of THE THIRD MAN is the most prominent character in the film: the war-torn city that dominates every shot. Reed uses Vienna so well in this movie. This film would not have been the same if it was shot in the studio. Ah, the zither! And the final scenes in the tunnels ... and probably one of the top 5 best character names in movies with Harry Lime. Wonderful movie, and a really good article, Amanda! I just read a Spy Among Friends (Kim Philby and those he betrayed), and am now even more fascinated by Greene's take on Lime. The sheer nerve of the actual spy, and the depths of his betrayal, are fascinating. Great description of poor clueless Holly, who does so much harm! Kim Philby was certainly an interesting character. I believe Tinker, Tailor, Soldier, Spy was based on Philby too.